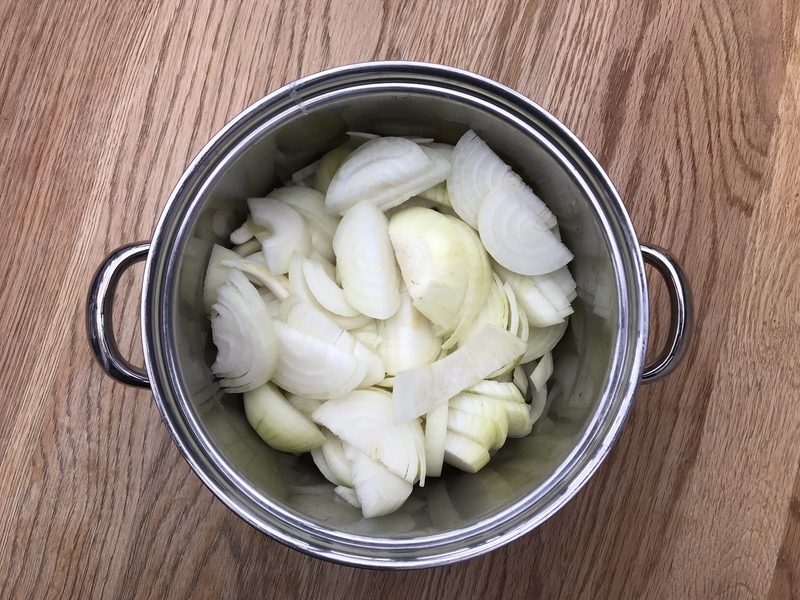 Just a few ingredients to make this classic French onion soup, which is wholesome, hearty and accidentally (for us, as we don’t follow either diet) both vegan and gluten free. 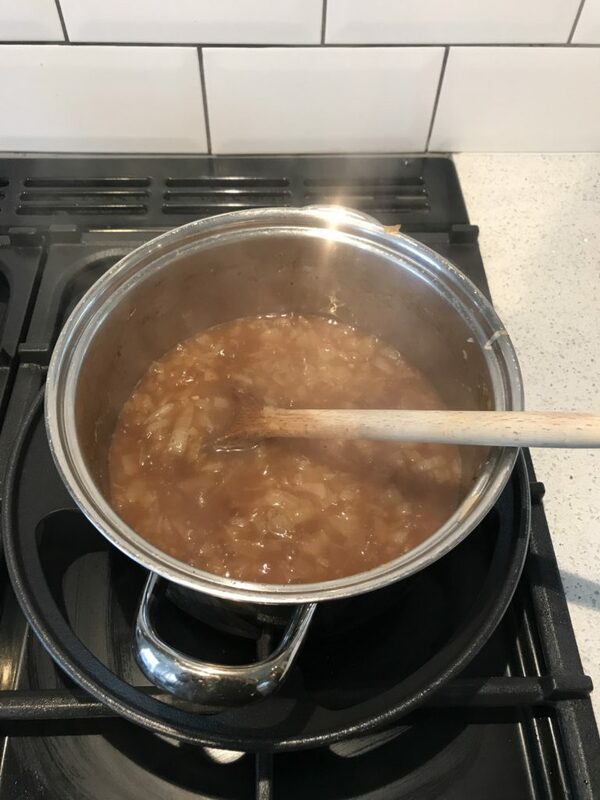 French onion soup is barely a recipe really – just onions sautéed in a little oil for a long time, stirred frequently, and then topped up with water and seasoned. 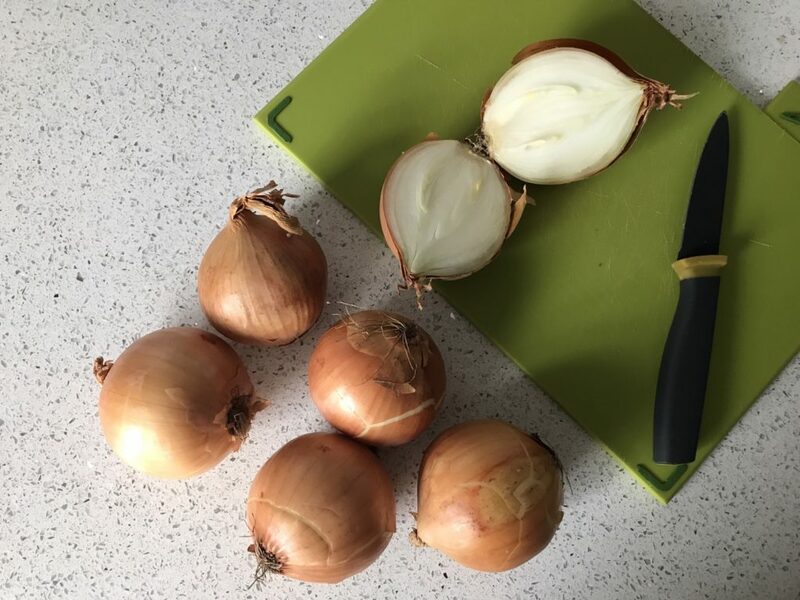 But as I was making it a few weeks ago (bitching to myself about how long it takes to caramelise onions), I thought it could be useful for you to see each stage of the onion caramelisation process. 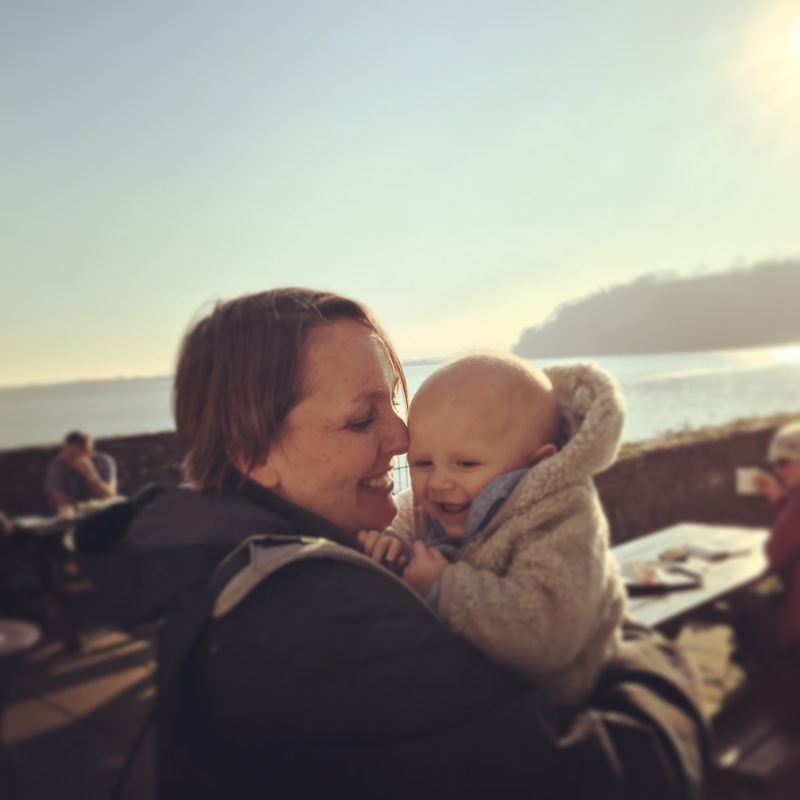 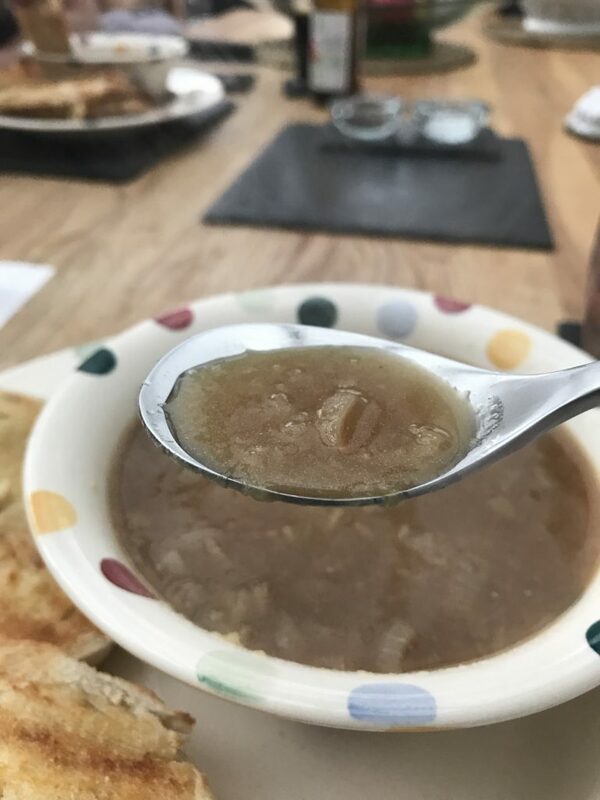 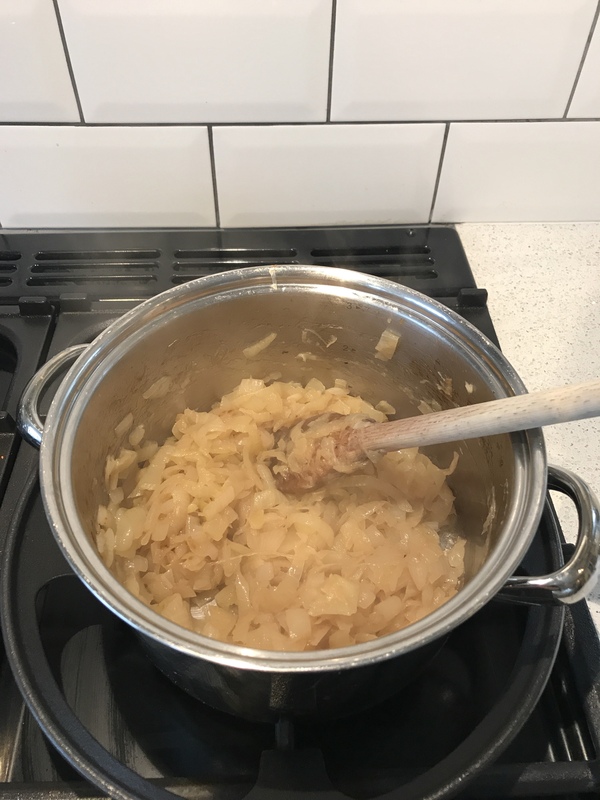 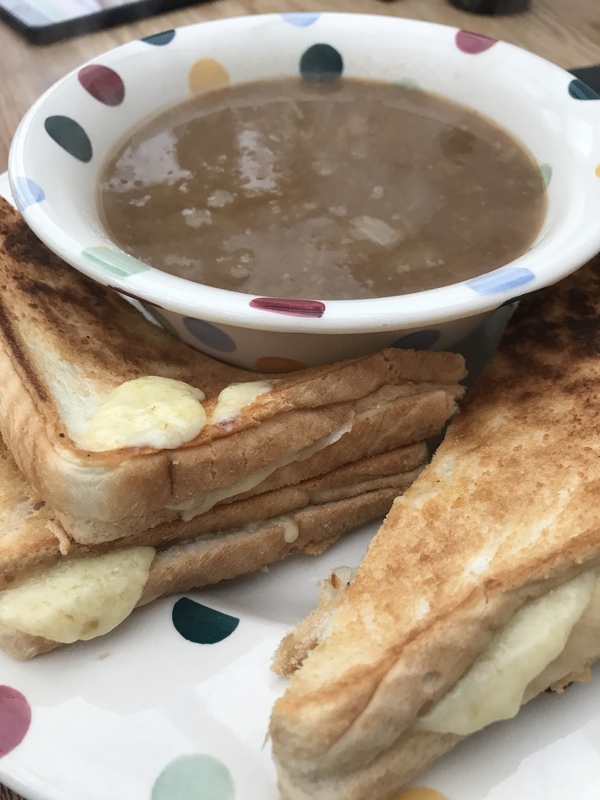 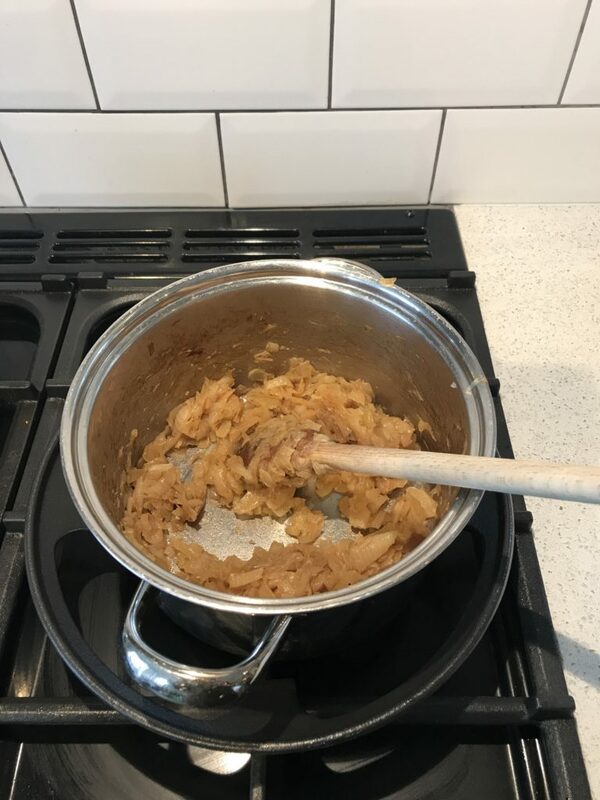 So here is my recipe for classic French onion soup, which is one of Ioan’s favourites, and Andrew’s too … as long as it is served with a hot and gooey cheese toasty! 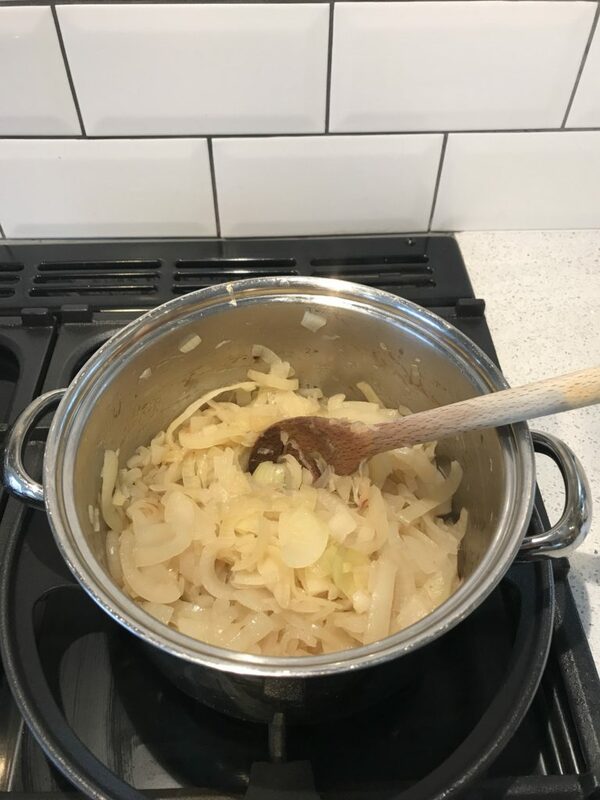 Put the vegetable oil in a pan and add the sliced onions, then put over a medium heat and stir every few minutes. 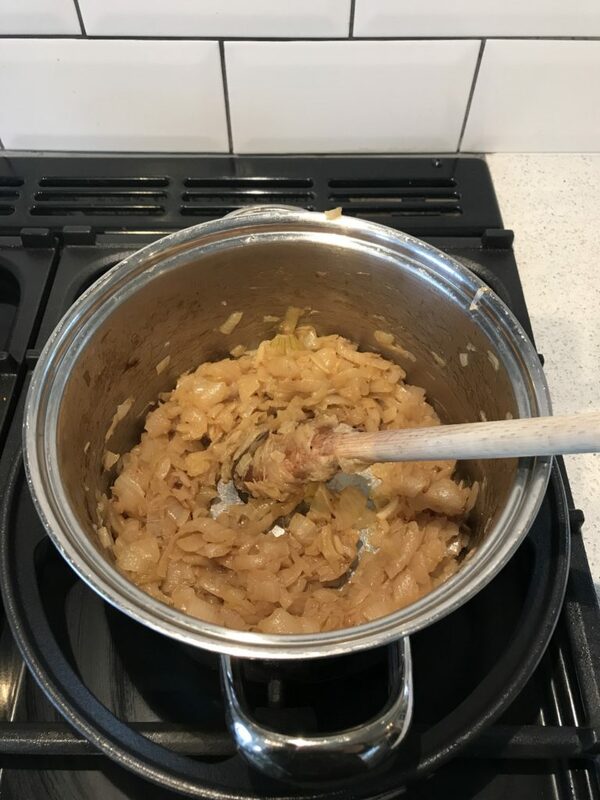 Cook for another minute or two and add salt and pepper to taste. 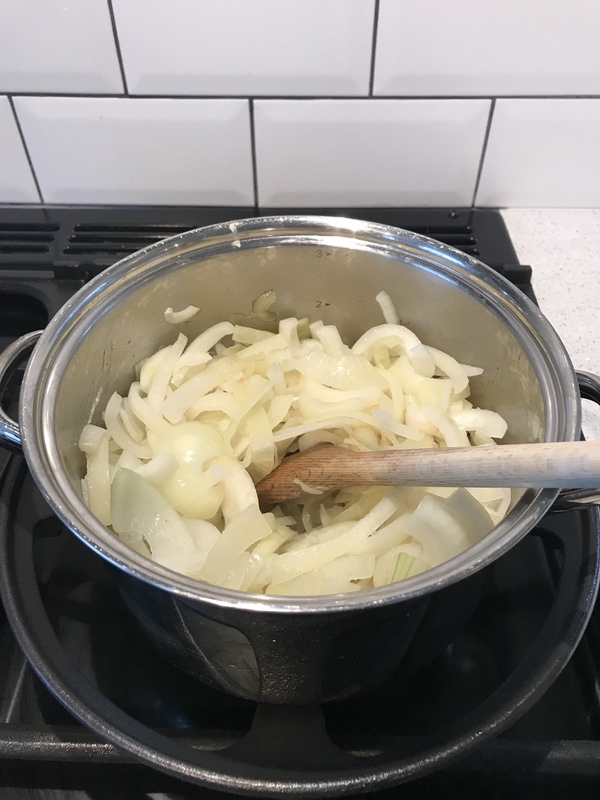 I like to blitz this in my Froothie Optimum g2.3 Platinum Series induction blender* for Ioan as he doesn’t really like the texture of sliced onions, and actually I discovered it improves the texture of the soup for adults too if you process half of the soup and then mix it with the unprocessed half, as it makes it deliciously thick. 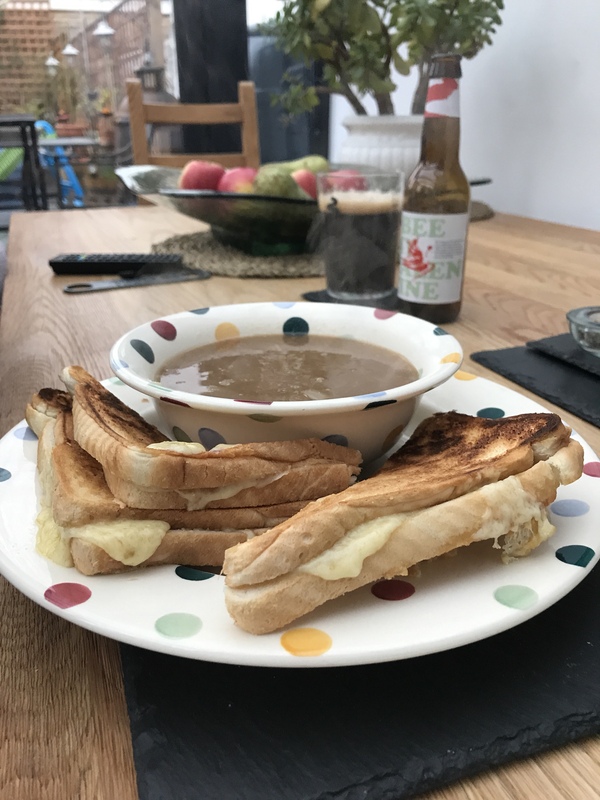 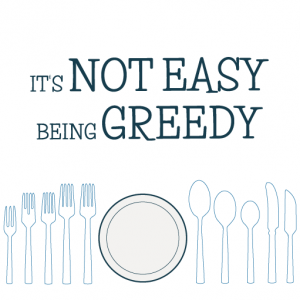 Serve with cheese toasties, or just enjoy on it’s own. 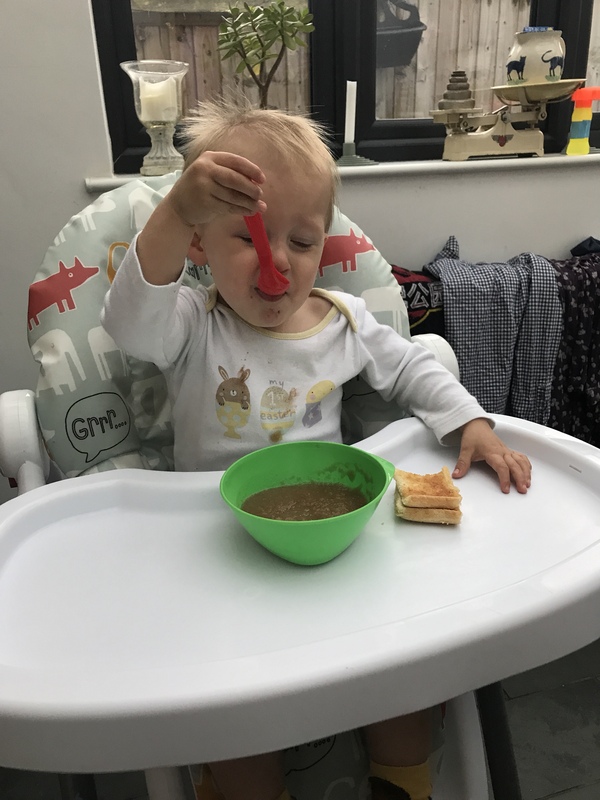 Delicious and it’s really good that baby Ioan enjoys it!